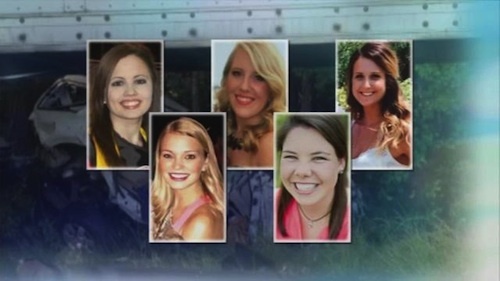 After last month’s announcement that a grand jury had indicted both truck driver and employer, Total Transportation, on criminal charges stemming from the crash that killed five nursing students, this week Georgia prosecutors announced they are dropping the criminal case against the trucking company. However, John Wayne Johnson, the company’s driver who slammed into the nurses’ vehicle not noticing the traffic backed up from a previous crash, is still facing criminal charges and is scheduled to appear in court next week. District Attorney, Tom Durden said in a public statement that he is dropping the criminal charges (that included vehicular homicide) against the Mississippi based company, Total Transportation. He explained that he made his decision after the company agreed to spend $200,000 setting up a nonprofit group offering nursing students financial aid. He also said that although Georgia law makes it possible for corporations to be prosecuted in criminal cases, it rarely happens and even if convicted, the only punishment for a company is a fine. Robert Cheeley, attorney for three of the victims' families, agrees with Durden in that aspect. 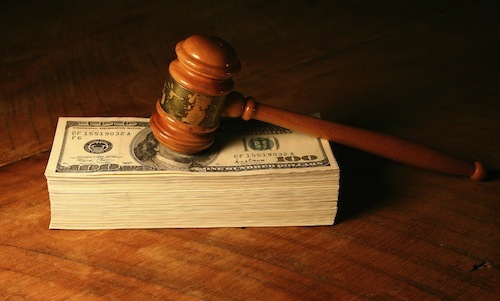 "It's kind of hard to prosecute a company. You can't put a company in jail," said Cheeley. He also revealed that the company has already agreed to pay $78 million to settle the civil suits but had some criticism about the 200K being used for a non-profit group. “It’s interesting that they set up a nonprofit organization. They set up a 501c3, and the sole purpose of that would be to entitle it to get a tax deduction,” he said. Cheeley says the families would have preferred to see the money being used to improve the safety of trucks. “Do a better job hiring drivers, cameras in cabs of drivers, install an autonomous braking system so the truck will stop itself if there’s traffic ahead,” he suggested. The father of Abbie Deloache, one of the young women killed in the crash, said that it needs to go a lot deeper and requires real changes to the company’s leadership. “When you start taking human value and life over the financial gain, that’s when leadership or CEO needs to be changed,” said Jimmy DeLoach. He also said he wants the company to pay $1 million a year for every year the driver could possibly be sentenced to jail. “So if we’ve got a 5-year sentence, even if the driver walks away, he can put $5 million into a funding for the nursing school,” Jimmy DeLoach said. The depositions from the civil lawsuits revealed that Total Transportation had hired Johnson even though he had told them of being fired by a previous employer for falling asleep at the wheel. Johnson also admitted under oath that the deadly crash was his fault but insisted he was awake and did not fall asleep at the wheel. wanting to put cameras in cabs, and installing a break system if there is back up traffic, this all sounds good but it still only puts a bandaide on the problem. The two issues here are not being addressed. Hiring people that should be in the truck. Hiring just anyone off the street isn't the way to fill a position. If you put cameras in trucks it only confirms that a company doesn't trust a driver, but will put them behind the wheel. I feel the company needs to back their driver up or start screening more strickly. this is how corporate companies are. they hire just anyone off the streets, gets big tax breaks, and then leave the driver out in the cold if they get in to much legal trouble. The corporation will never go down in legal but the driver will end up either in prison or worse. I personally find it disrespectful to all the family's that lost someone. It's almost like putting a price tag on their life. So sad. That's what a nurses life is worth these days, $40,000? Disgraceful that this company could buy their way out. Hope the families all file civil suits against the company and bankrupt them! Filing civil suit against CTi soon! And never drop charges against a carrier! That's ludicrous! They should not have been dropped against the company. Too many s**t companies out here, hire anyone and dont pay decent wages. You reap what you sow. All the electronic gadgets cant take the place of a good driver and sure as hell cant make a bad one better. Our own government gives tax breaks to those companies who 'fill seats' aka 'create jobs'. They don't care if they are qualified, in fact extra incentive to those who hire foreign workers unfamiliar with our culture, let alone rules of the road. These companies get incentives, tax breaks, etc. How does the little guy compete with that? It seems the more 'help' politicians provide the harder it gets to run a small business. Total of MS is operated by USExpress. ..so is Arnold. ..every time a major fatality accident occurs USExpress is invited to manage the company under a new structure. ...the drivers milage is cut %33 and everyone po a ys for one major accident. Sorry folks, I agree with them at this point. This driver killed 5 people. It's 100% the drivers fault,, not the company's. Doesn't matter. The company hired the driver who is covered by company insurance. While it may not be the companies fault, this is why we pay so much insurance a year.